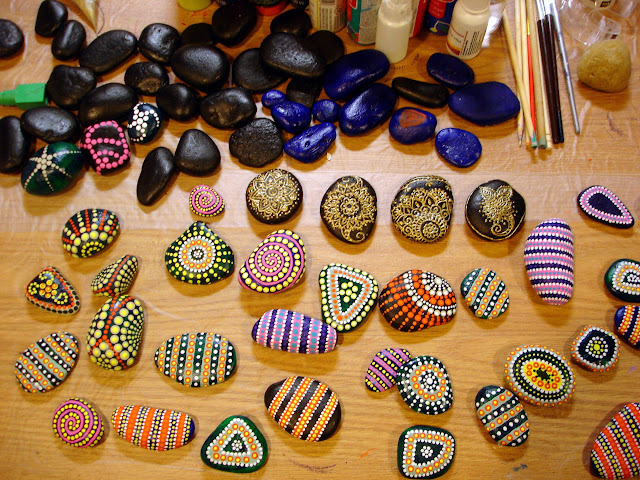 In preparation for the Llano Earth Art Fest (at which I'll have a booth), I've been painting lots of rocks. Unfortunately i don't know how many I'll need. Perhaps I'll sell out, perhaps I'll be gifting pretty rocks for the rest of my life! You never know.